Web-based HTML Editor is a web component that let users write within the browser. Sometimes, we need to write or create posts. Content Management System Administration can easily manage its content through powerful html editors from backend system. 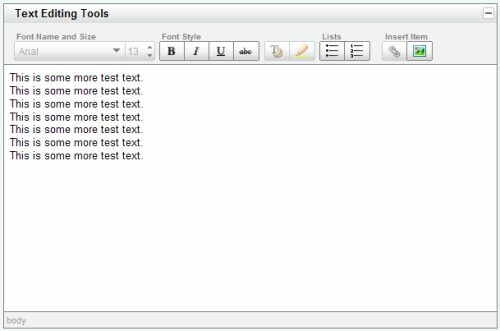 Web-based, WYSIWYG editor or rich text editor is allow you to create and edit HTML code using a WYSIWYG web interface or simply just write rich text with underline, italics, font changes, bold, etc, using a web interface. Here is a showcase of Top 10 useful Web Based HTML Editors for developers and bloggers. CKEditor is online web-based HTML Editor. 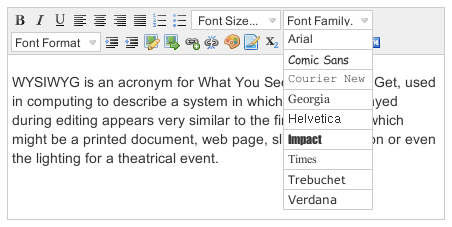 It provides powerful features of known desktop editors like Word. It’s XHTML compliant and works with Firefox, Mozilla, Netscape and IE. It offers a complete integration pack for ASP, ASP.NET, PHP, Java, Perl, Phyton and etc. jWYSIWYG is a jQuery plugin for creating inline content editors easily. It is small application like a notepad. Yahoo YUI Library is developed by Yahoo Group. You can extend the features via plugin. 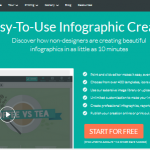 It is online rich text editor that replaces a standard HTML text area. It contains following components Editor, SimpleEditor, ToolbarButton, and ToolbarButtonAdvanced. 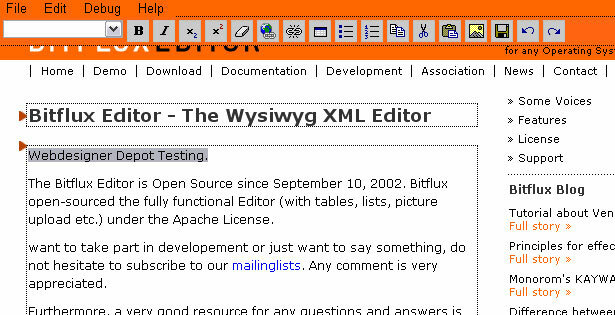 Xinha is open source and powerful WYSIWYG HTML editor component that works in all current browsers. Developer of this application welcome everyone to contribute to the project. 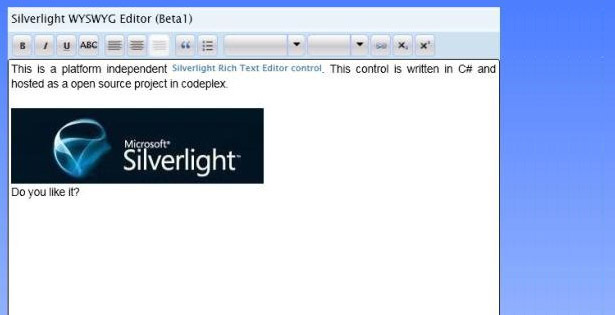 Silverlight Rich Text Editor is most famous rich-text editor. It is based on many features such as keyboard shortcuts support, serialization of text input for security, batch-replace etc. Original Developer of this application stopped working on this project. XStandard comes with two versions : XStandard lite (Free) and XStandard Pro. XStandard Lite is compliant WYSIWYG editor for desktop applications and Web-based content management systems. This web-based editor supports all kind of browsers. BXE is an XML-based WYSIWYG editor that allows you to change an entire web page. You can edit now your content semantically and at the same time display it to your users and editors in its final form. Just try demo and have fun. Well put, let me just say that sometimes the wysiwyg is not sufficient. Thanks for sharing this post.I like this post.It contains good examples of web based applications. No TinyMCE? is there a reason for that? 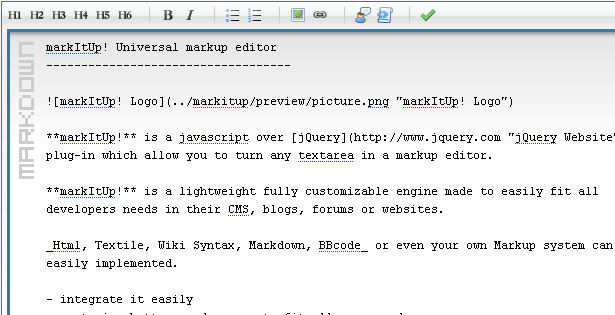 I use MarkItup regularly but it is not a WYSIWYG editor just a rich texte editor.